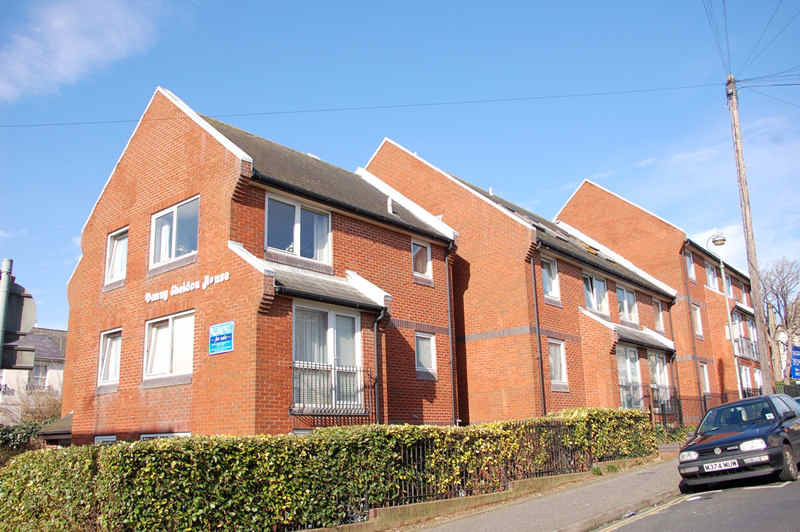 Belle Vue Court, built on the site of Belle Vue Hall. 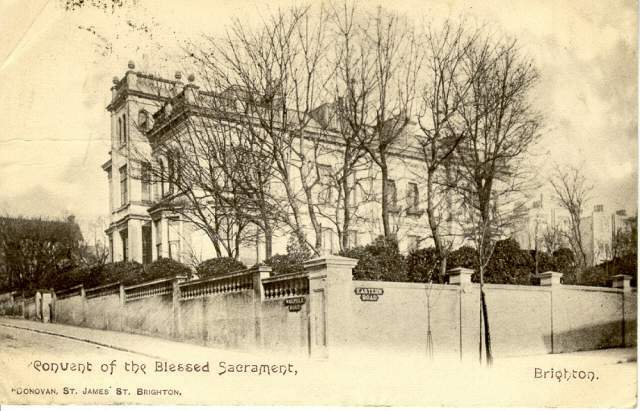 Convent of the Blessed Sacrament, c. 1905: The Convent of the Blessed Sacrament resided at the corner of Eastern Road and Walpole Road in Walpole Lodge, a mid-nineteenth century villa. 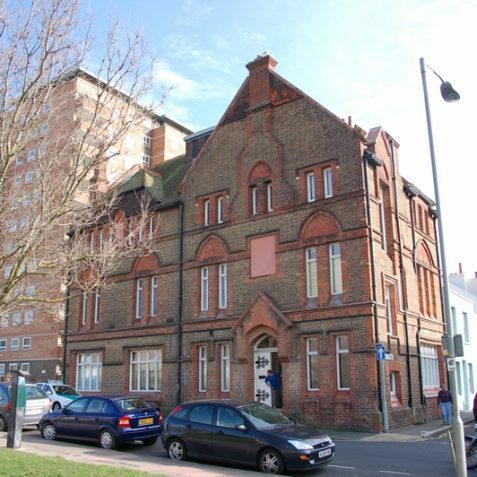 Since 1971 the building has been Brighton College Junior School. Rosaz House was named after Chevalier Francois de Rosaz, born in France around 1796. He made a fortune as a financier, but was also a Doctor. 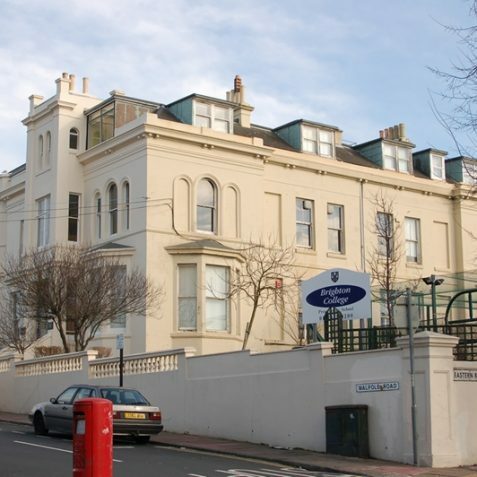 In 1822 he set up the original Female Orphan Asylum in Western Road. 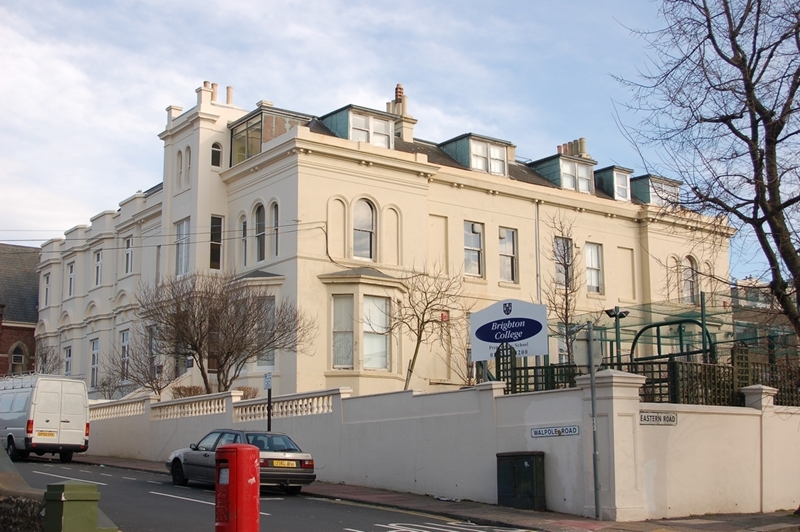 He performed similar charitable work in his native France, but around the 1850’s appeared to have settled in Brighton, living for many years in Arundel Terrace. 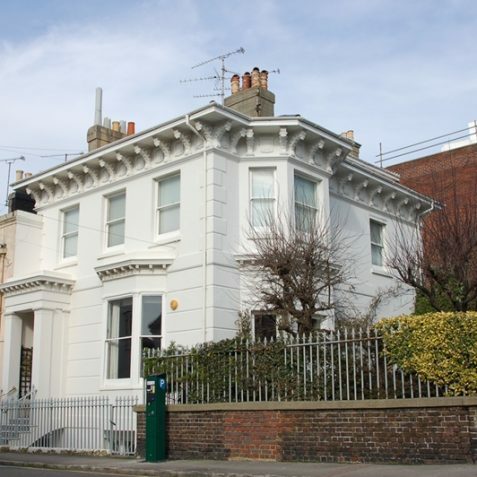 Around 1853 the foundation he set up built a new Asylum in Eastern Road. He died on 21st September 1876. 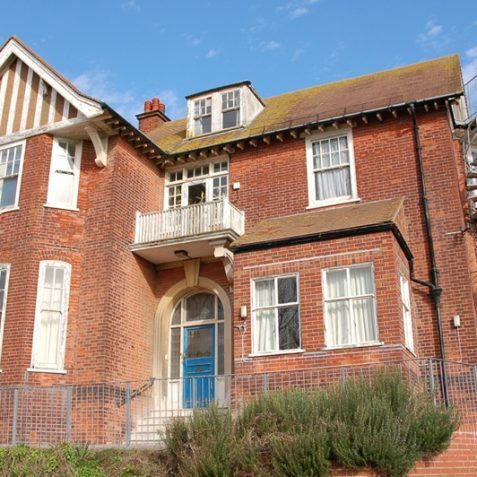 The present Rosaz house is a 20th century building in Bristol Gate, becoming Brighton Girl’s Orphanage in 1936 when the Eastern Road building was annexed as part of the Royal Sussex Hospital. In the 1930’s Miss Southon was the Matron and, Miss Parsons was matron through the 1950s, 60s and 70s. Hi Fiona, I think I remember you. In fact I’m sure I do. I remember Mrs Parsons being the Matron of Rosaz House. She was a lovely lady. I was there a short time when I believe she retired. Doreen Radford was the last Matron at Rosaz House in the 70s and 80s. Thank you for the update on Rosaz House regarding Chevalier Francois de Rosaz. I lived at Rosaz House from 1972 until 1981. I would love to have the opportunity one day to go through Rosaz House, the place I called home for a few years. 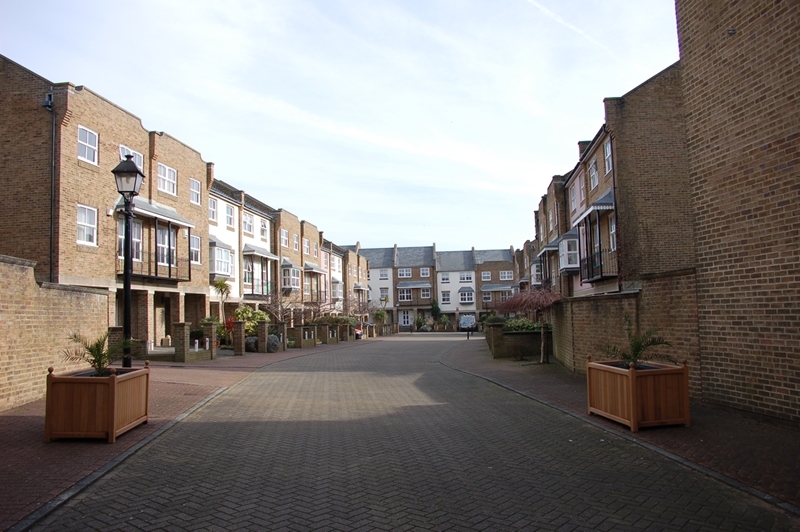 I still remember the layout inside from when I lived there and I wonder how much it has changed. 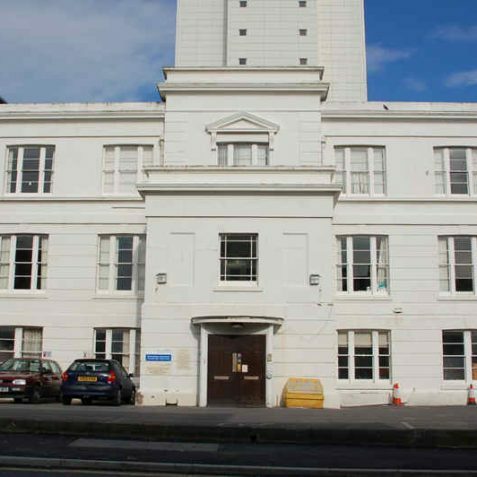 My twin and I (as well as a younger sister and brother) lived in Kemp Town in Brighton from 1935 to 1948 (all through the war years) and I have many rich memories of happy and sad times spent there. 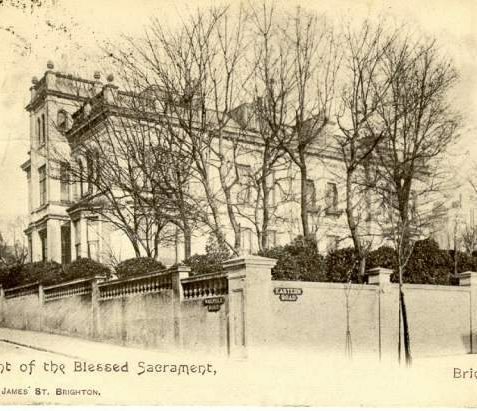 Our first home was in Sudely Place and close to the ‘Brighton & Hove Girls Orphanage’ in Bristol Gate. Most mornings we met the girls on Eastern Road on the way to Park Street Schools (Infant and Seniors). We attended the same church and Sunday school of St. George’s and The Girl’s Guildry; and several of the girls became our special friends. 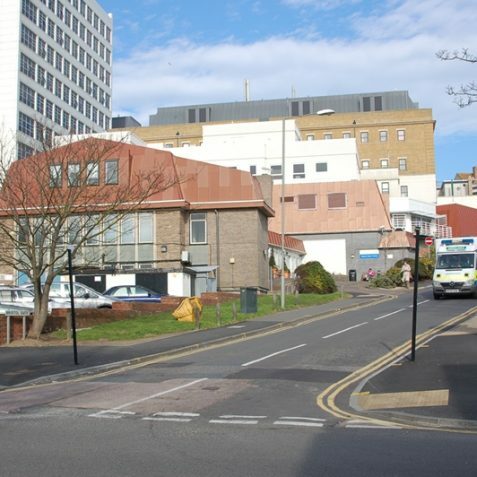 I remember Matron, Miss Southon when the Orphange was on Eastern Road, but when it was moved to Bristol Gate Miss Parsons became Matron and the strict regime changed. Miss Parsons was indeed a beautiful and gracious lady and I adored her. She was ‘Mummy’ to all the girls. This site has triggered so many happy memories of times spent with ‘the girls’. Soon after 1948 we moved to Hove and from there we three sisters married and one by one moved to Canada. 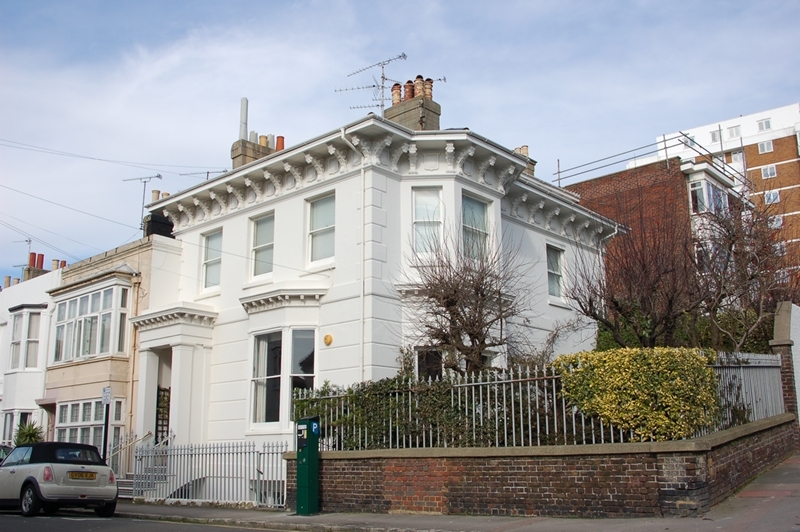 We have returned many times on holiday and never miss a visit to Kemp Town, and the schools, church, and homes we lived in. Sharon, Were you also in my class at school? Did you date a David from school as well? If so, I do remember you. My sister Shirley and I spent time at Bristol Gate. I remember Miss Parsons she was very kind, the other lady my sister was very fond of was called Nanny (I was terrified of her). I went from there to hospital as I developed TB, but Shirley stayed longer than me, before we went home to our own family. 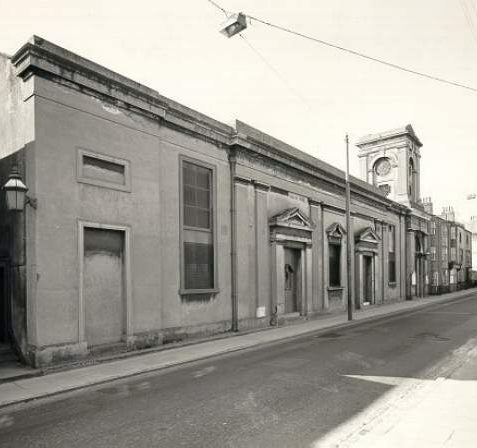 Does anyone know anything about the ‘Star in the East’ public house which used to stand at 32 Eastern Road? I know it was pretty awful, so deserved demolition. But a relative of mine seemed to have lived there from about 1876 till 1903 when he died. His name was James Burt Foord and I’m trying to track down his history, especially prior to his moving there – I know he was at the ‘Dorset Arms Inn’ in 1859 at 61 John Street, but that is all. Anybody able to help? Old photos would be great too, if they exist. I lived at Rosaz house from the age of 8 in 1951 to 1955. Miss Parsons was Matron and Miss Winder was Nanny. I remember your sister Shirley Wetherill, Rita, but not you. Maybe you had left by the time I arrived. I particularly remember the Christmas celebrations we had. I can’t say I was particularly happy there as I missed my home but I made some good friends. 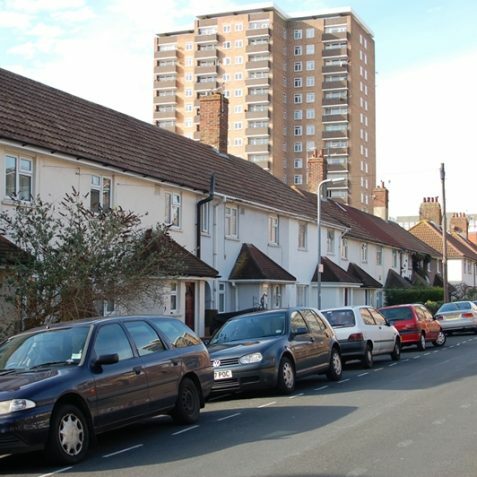 Does anyone know of any history or have photos of number 25 Eastern Road (next to Danny Sheldon’s house). My great, great grandfather lived there as a boy in 1851 and I would like find out a bit more about the area. 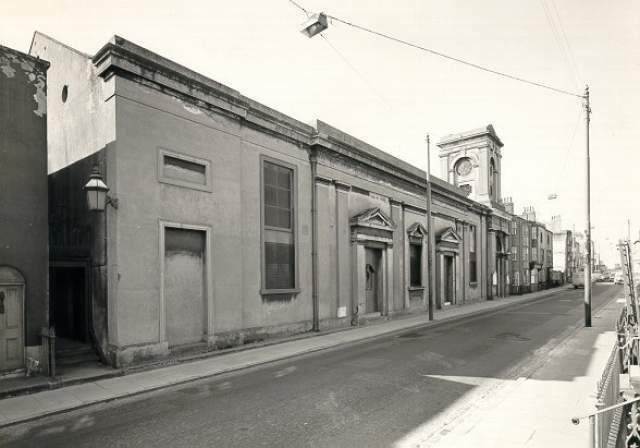 When I was a boy, I lived in Lavender Street and every Sunday I went to Sunday school in the “Pelham Mission”. We used to have magic lantern slides and afterwards we were given a bible text to take home. I used to really enjoy it, it wasn’t a chore. I could run straight out of my house, through Warwick Street, and right to the Mission front door in 2 minutes! 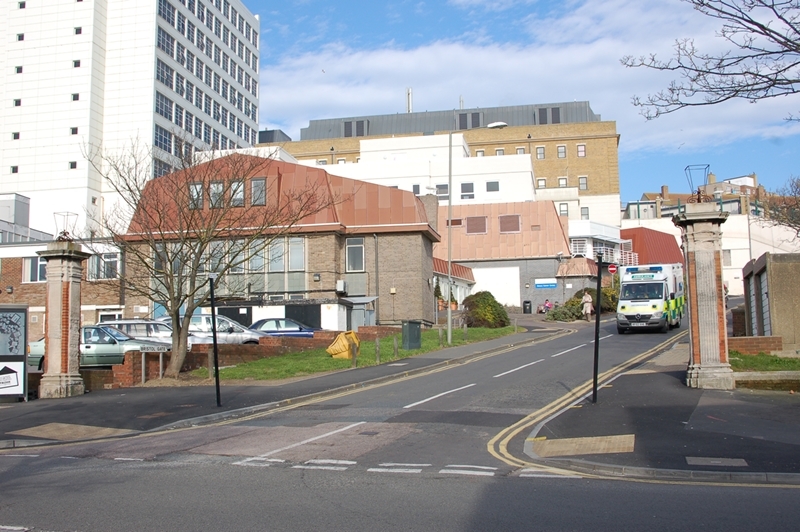 I believe there are plans to demolish both Rosaz House and Cottage under the new Hospital redevelopment. Perhaps somebody needs to start up a campaign to save these to buildings. Presently Rosaz House is used by the training department using the large rooms on the upper floors and attic room and Drs temp accommodation on the lower floor. There are still many original features and walking around you can imagine people entering the front door into the large hallway and visualise how the original layout would have been. 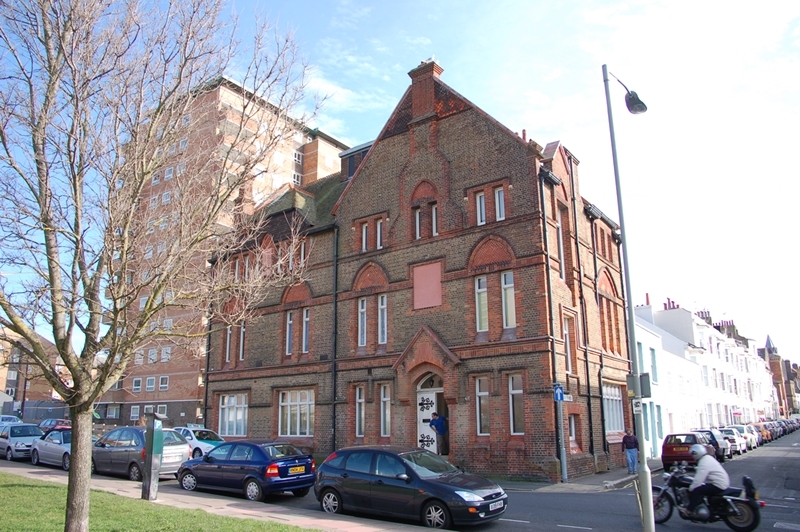 Likewise the Lattilla building on Eastern Road is soon to be demolished. I lived at Rosaz House during the 40s. I remember Shirley W and also Valerie. I remember the performances we used to do, singing etc. My sister Pat was with me and I can’t say it was the happiest time of our lives! Years later in the 60s I went back for a reunion with my children who loved it! I lived at Rosaz House in the early ’80s and was in fact the last girl there. I have many memories of the house and the children that came and stayed. I visit the house everytime I’m in Brighton and do a bit of reminising. I believe my grandmother and her sister lived there in 1911 after being orphaned. Margaret Keeping, was the Matron there at that time. I can also confirm that Doreen Radford was our matron. I moved there in 1973, there was another lady as matron for short period then Doreen took over, I can not recall her name. We all used to perform plays, as I recall we used to pretend we were the staff to and act the girls out. Christmas was fantastic, a huge, father Christmas would wake us up at midnight in the blue room and give us our stockings, we had the blue room two pink rooms and a rainbow room. Bath nights were Fridays, after which we would watch ‘it’s a knock out’. I often think I would love to walk round Rosaz House again. The cloakroom was cold and dark, the cellar was the worse, we also had a gardener, very scary he seemed then, Memories, memories, memories. I hated leaving there; Doreen was our mum, the best ever, R.I.P Doreen and thank you. 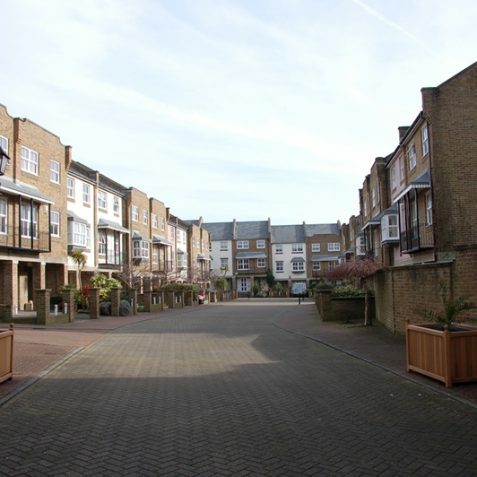 Seeing this picture and how it has changed, it was my home from 6 years old, has brought back such fond memories. How it has changed, I see it every day and I imagine us all still there, the lawn is now a car park and the bottom playground is too. I remember our bonfire nights, the fun we had. All the staff were brilliant, its thanks to them: Auntie Doreen(sadly not here), Auntie Anne, Nanny, Auntie Alex, and Iris our cook (I can’t remember them all), that we are who we are today. We were classed as orphans, just one big happy family, all us girls were sisters to each other. I went to The Blessed Sacrament in the 60s. The primary school was across the road to the south of the main building. I was a day student but there were boarders too. It was co-ed in the primary grades. 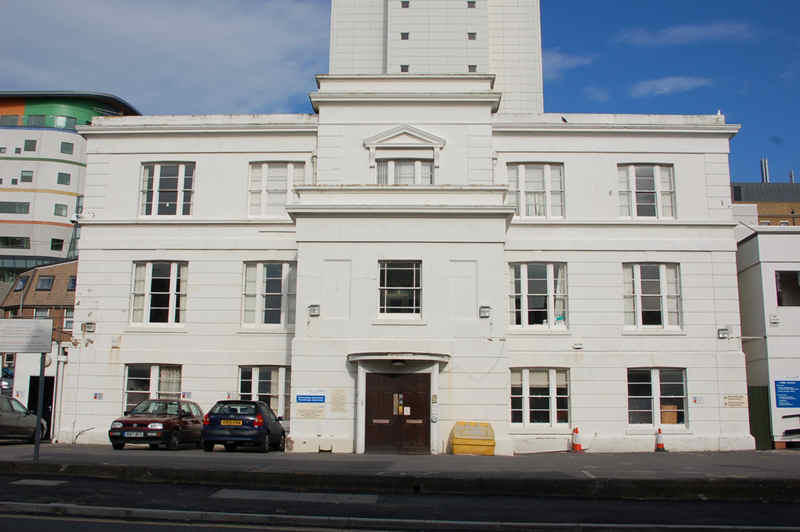 My mother was placed in what was then The Brighton and Hove Girls Orphanage – although no orphan (long story) – in 1942. When I was a child in the 60s and early 70s she used to go back once a week to help out and my Dad was one of the men from Allen West who built the wendy house in the front garden, I think because of Mum’s connection. 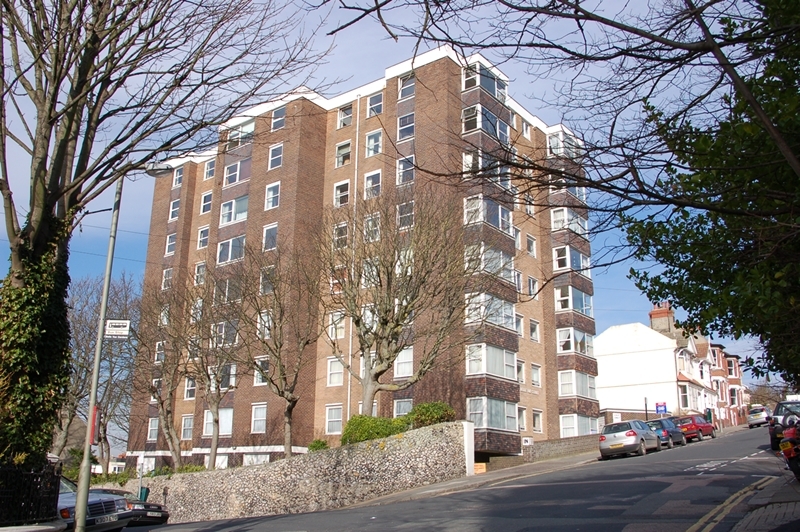 We used to attend for parties and outings, including bonfire nights hosted by Brighton Lions. The staff I remember were the “Matron” – Miss Molly Parsons followed by Priscilla Walford as well as Nanny Winder, Ena ?, Iris the cook? and Mrs Holloway who had a big labrador. There was a strong religious undertone, except for Ena who was an older, rather enigmatic and obviously well-educated person. I met her by chance in a London Road cafe whilst at university and we discussed Bertrand Russell and philosophy – she was the sort of person who gravitated to Brighton in those days! 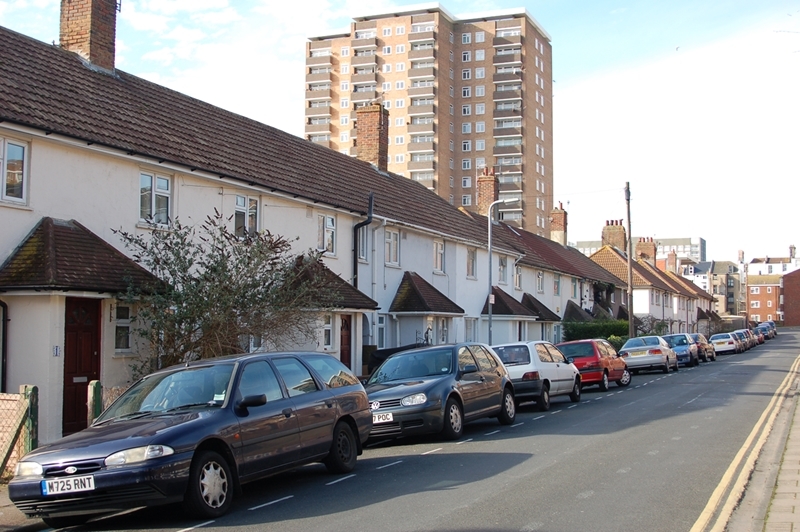 I lived at 59 Eastern Road in 1957-8, right next to the pub. I can’t remember which of the two pubs as there was one on each corner of Freshfield Road. One was the Seven Stars and one was the Star in the East. 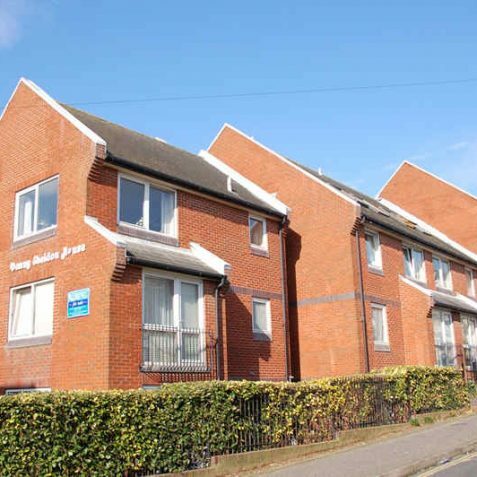 We lived there a year as emergency accommodation, then got moved to Hollinbury. There is, somewhere on the internet, a photograph taken from west of the All Saints church looking towards the pubs. If you can’t find it, I may be able to find whereabouts it is. Incidentally our upstairs neighbour was a relative of the Volks railway people. 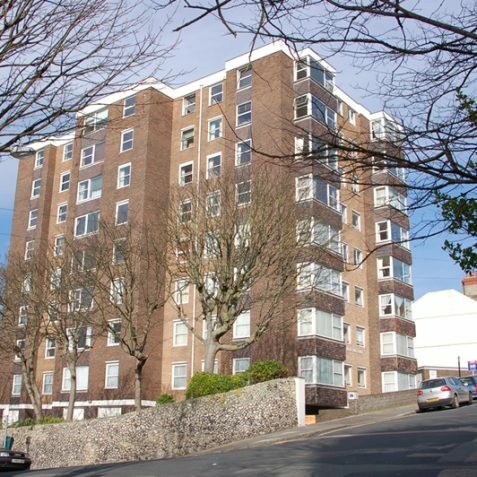 Does anyone have any photos of a nursing home that was there before these flats were built? I was born there in 1945. I went to the Blessed Sacrament Convent in the years 1966 to 1970. My teacher was Mrs Dann – very strict! I remember Miss Metcalfe the sports teacher for tennis and netball also as a day girl I envied the boarders having their pet rabbits and guinea pigs in cages around the playground. Happy days indeed! 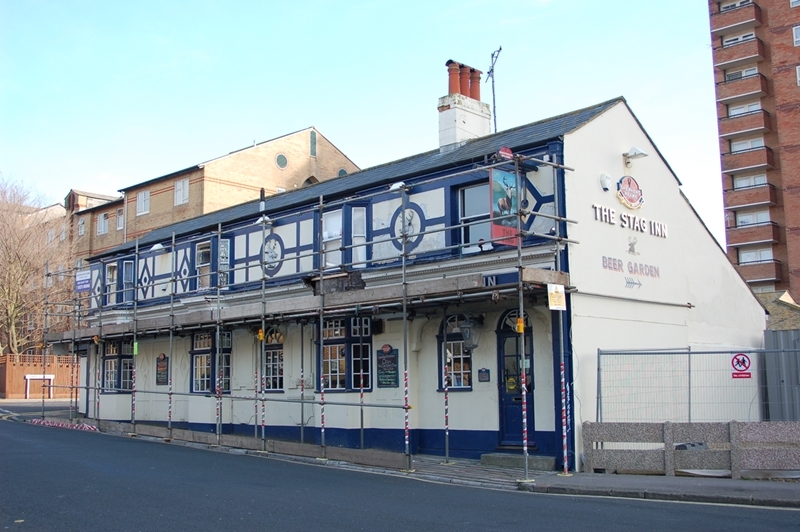 Sadly,the Stag is now demolished – like many other pubs in the area. It was a good pub providing music and food. When one thinks of the Somerset, Black Horse, Eastern and Star in the East it is sad to remember how many have been lost. My mum was placed in this orphanage in 1946 when she was 2 yrs of age and was actually pictured in the Daily Mail paper being held by R A Butler as being the youngest child in the orphanage. I would love to get a copy of the paper as her 70th birthday is coming up in January and I know she would love to see a copy of it as even though she left at the age of 7 she still has a lot of memories of being in there. I was in this home in the 40s and remember Miss Parsons and Miss Winders who we called nanny. I would love to hear from anyone who may have been there at this time. Dear Judith, do you remember my mother Charlotte Barrie From Scotland? Hi David, I along with my three sisters lived at Rosaz House from the early 70s. I do remember that we had an “Auntie Charlotte” who used to come in & look after mostly me & my younger sister, so I’m thinking this could well be your mother. I have very fond memories of Auntie Charlotte as she was very kind & loving towards all of us. 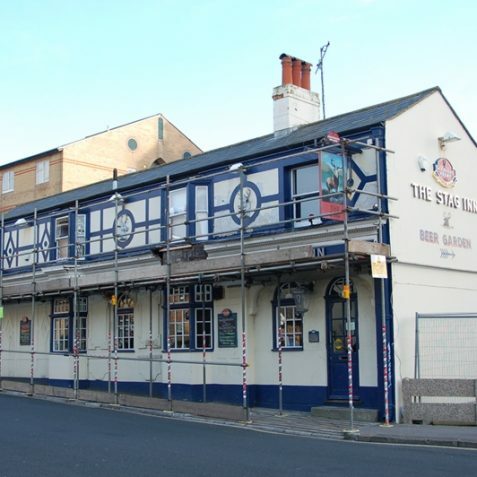 James B Foord was Landlord of the Star in the East 63 Eastern Road. Sadly Rosaz house is being knocked down in a few days. Such fond memories. It was known to us girls as Brighton and Give Girls Orphanage. I always wanted to go back and walk around. I remember everything was huge back then – stairs and the hallways. I got the opportunity last year when I did some training there. Sitting in my old bedroom – wow. Standing on the upstairs landing recalling us girls, the laughter, the fun. Even roller skating round the house. I had the chance to look out of what was the spare room onto the back garden, now a car park. I was 5 when I moved to Rosas House and was greeted by a tall girl of dark skin. Judy….. Mrs Holloway.. Nanny (Anne), Iris our cook who had a daughter Alison, Auntie Alex who came a while after, Doreen Radford who became matron, our mum, her husband Bert and his red sports car, their daughter Linda. Us girls: Sharon, Margaret White, Fiona from above and her sister Jeanette, Dawn from above and her sisters Kim Fay and Jane. I recall a Shirley and also a dark skinned girl who came to stay and her brother. Another lady that I recall was Ena or Edna – I think she had a daughter called Isabel. She would walk us to school with her cat on a lead. Juliet as well. Auntie Walford. Don’t think I have missed anyone. Doreen had 2 dogs – Yorkshire terriers – Beebe and Topaz. We used to dress Topaz up as a baby and push him around in the pram. The wendy house in the front gardens, the shed in the bottom playground we used as our club house, summer fetes on the front lawns, bonfire nights. Such memories. It will be such a shame to see our home gone. But I will cherish my life there. It gave me a home and a wonderful family. My apologies to anyone I had not answered until now. I deleted my email account associated with my original postings. Re: David Blundell. I remember the wendy house very fondly, the best made wendy house ever made which to me was like a cottage in the woods. Mrs. Holloway was Matron when my sister and I arrived at Rosaz House – she was lovely, I was sad when she left. Ena, is she the one with the very long grey hair?, she kept it in a bun for the most part and I remember her taking it down one day and was amazed at all the hair she had, I seem to recall her room was at back of the cottage at the top end of the garden, she was also a very lovely lady, there was something about her that made me like her a lot and was sad to see her leave too. I vaguely remember Auntie Charlotte. There certainly was a strong religious undertone, we went to church and said prayers before and after every meal as well as bedtime. We had bible study every Wednesday evening. I remember the nun, Sister Christine saying the word ‘sod’ as she was reading from the Bible and I went into fits of laughter as she, the Sister, said the word ‘Sod’! Hence I was sent out of the room and reprimanded by the matron (Mrs.Doreen). Auntie Ann from Canada was so lovely, she was only supposed to stay at Rosaz House a short while and ended up staying there for a few years. We were so sad to see her leave too, she moved back to her home in Canada. On the day she was leaving I sat with her and I told her one day I was going to move to Canada. When I called her years later, after moving to Canada, she related that story to me, she remembered me telling her this. Re: Rosaz Philippe. Thank you so much for your input and I will indeed try and find that book you have mentioned. Rosaz House is a wonderful home and was beautifully built. I remember thinking how magnificent the playroom was and how lovely the French doors were which opened to the backside of the house down some cement steps. Thanks again for your reference. I have made it back to Brighton three times since moving to Canada and each time I visited Rosaz House. 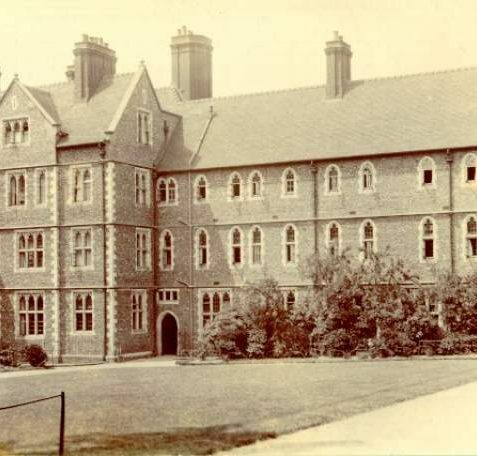 I only wish I had the money to have been able to save it and restore it back to its original plans and live there with my family, I would have opened up the home once a year for an AGM of sorts to reunite all the girls who lived there over the years. Sadly fate had different plans for this wonderful home, which will now be a memory to us. Please, if anyone has any photos of Rosaz House before all the renovations which changed the character of this home, inside or out, please share them with us. Thank you. I was at the orphanage from 1940 with my sisters Pat Brown, Shirley Brown, Maureen Brown and myself Doreen. We had a lovely times there and were very happy. The Christmases we had were magical. I am still in touch with Jean Hayes, Peggy Cottingham and we loved having a reunion every year but haven’t been back since the last one in the ’80s. The photo of the orphanage makes me feel very sad as it is looking so shoddy and it was our home and holds a special place in my heart. I will keep on the look out for if and when the proposed demolition takes place and hopefully perhaps we can have a final reunion. Love Doreen. Rosaz House will go very soon, which must be sad for all those who knew and loved the building. 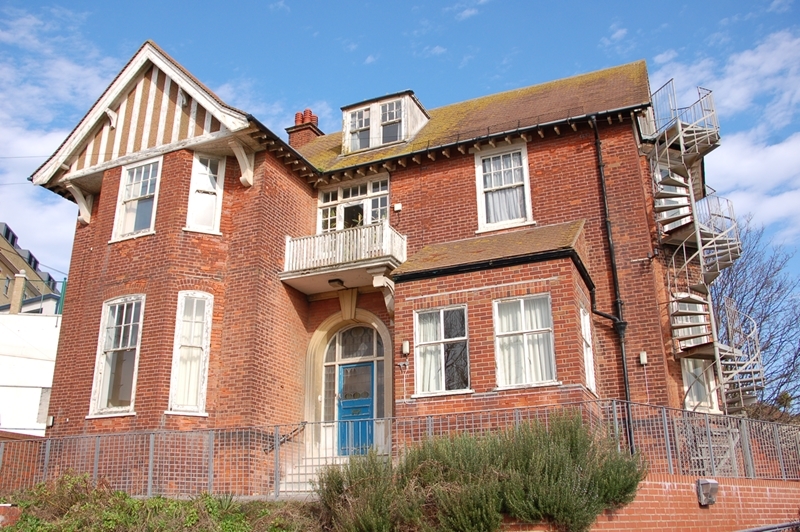 But on it’s site will be built the Sussex Macmillan Cancer Support Centre which will provide an holistic service in a calm, non-clinical environment for patients, their families, friends and their carers. So although the home will have gone, the site will still be a source of healing and peace. I was at the Infant School across the road for three happy years from 1948-1950. I attended the Convent from 1959 and through the 60s. I was head girl of the Primary School. I remember Mrs Dan, Mrs Medcalfe and was one of those boarders who had a guinea pig in a cage on the upper netball/tennis court. Happy memories. I was a boarder at the school in the 60s. I am Spanish and I used to attend school for a term every year. I remember Jeniffer Alexander and Henrietta Tetevie. Hi Clara Cornide, I sat next to you during Latin and you helped me with translation as I was a bit slow. You said you found Latin easy because Spanish is a Roman Language. I hope you have nice memories of your terms spent in Brighton. 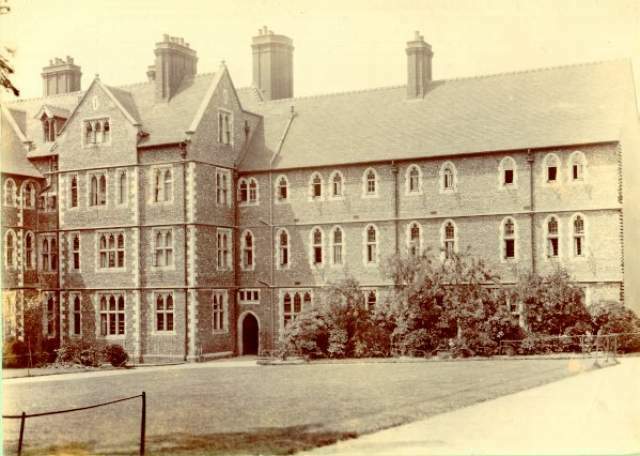 This was my school from 1956/57 until I was expelled because I spoke to a workman working there in the holiday in 1965. I had Mr Metcalf for sports. Mrs Dan for music, Sister Xavier was deputy, very strict, Reverend Mother was lovely – I think she was Sister Bernadette. My friends were Lauren Atallah, Denise Marcantonio, Valerie Underhill, Helga Schwarz, others too whose names escape me at the moment. Hi Clara Comide. I never remembered your surname but I remember you very well. You came to the school one month every year. I first met you in the early sixties and we shared a love of maths. Once I made you run around the perimeter of Brighton Boy’s College with me, you begged me to stop because you couldn’t breathe anymore. The last term that you stayed at the school you introduced me to smoking. We were caught in a study classroom one Saturday evening having skipped rosary to share a cigarette. Actually, I was caught and you stayed hidden under a desk. You were the baddest girl and a lot of fun. Fond memories.